A fashionable antique gold mangalsutra in peacock pattern. The peacock pattern manglaustra pendant is handcrafted and painted with meenakari and studded with kundan. 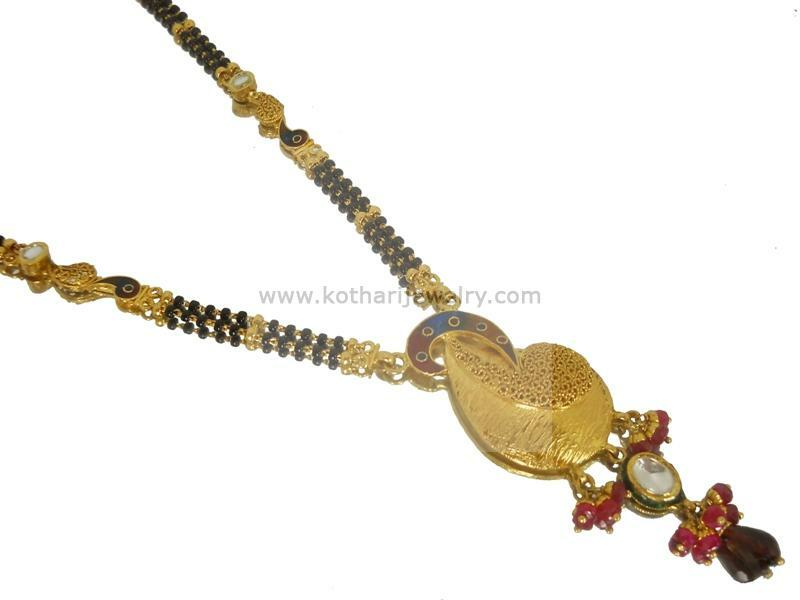 The mangalsutra chain pattas are also studded with single kundan.This peacock gold mangalsutra jewellery is 916 BIS hallmarked for 22kt purity.